DHL claims to offer ‘rapid, reliable and cost-effective delivery solutions’. Certainly no additional costs were incurred today when delivering to a house opposite a primary school at pick-up time. 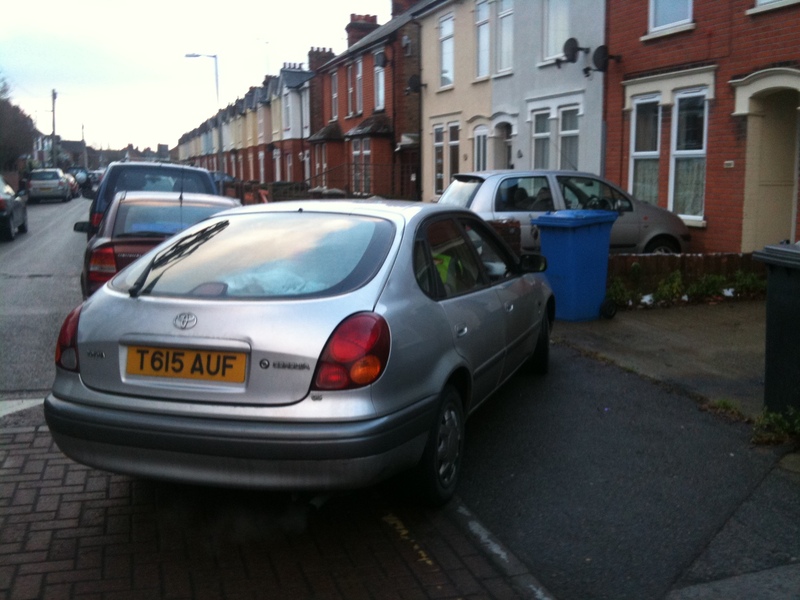 The unmarked car was parked diagonally across a raised school crossing in a ‘school zone’ on a single yellow line within its active period right across the pavement. The driver was wearing a DHL tabard and as is usually the case explained that ‘he had only been there a few minutes’. He was however relaxed and wasn’t aggressive at all which makes a nice change. 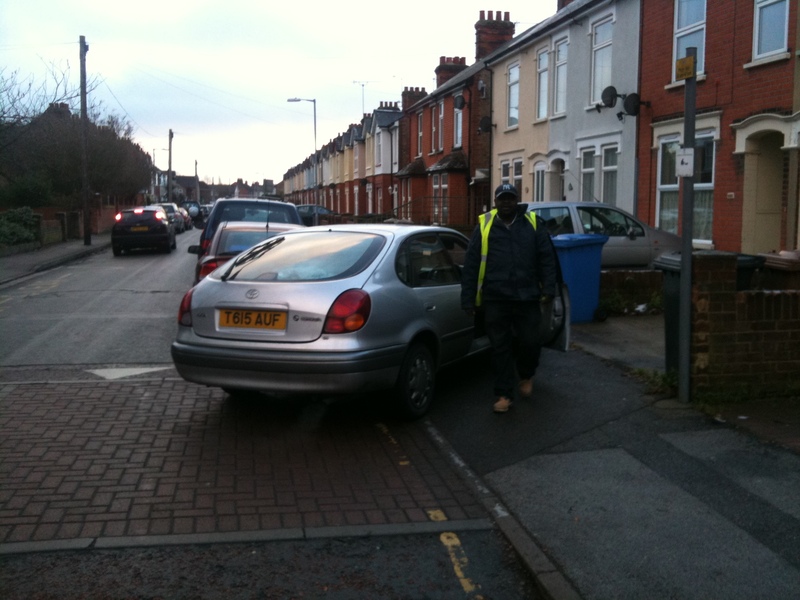 I guess that it is more cost effective to park across the pavement than to park a little way down the street and walk. As always an email is winging its way to their marketing department and I will provide an update in due course. The same crossing takes poll position in our Rogues’ gallery where a Jaguar and a Mercedes shared it nose to nose, very sweet! I also commented on the way that even when there isn’t a car completely blocking the pavement that the 88% of the people who walk to the school have only 18% of the space. Also that the school crossing patrol at the end of the street is likely to be lost when the person doing it retires in the spring. So much for the ‘war on the motorist!‘. It has been suggested – see comments – that they get their inspiration for this dynamic and never-say-never approach to ‘on-time’ delivery from Lieutenant Frank Drebin in Police Squad, played by the recently departed Leslie Nielsen. We are in communication and DHL are puzzled. Their staff do not used unmarked cars, however they did sell their local delivery business to HomeLink recently and that company was evidently allowed to use DHL branding for a period of time which is not up yet. They are checking with HomeLink. After making two phone calls to DHL where they promised to look into the issue I have heard nothing. Not very impressive really. I will keep my eyes open for the next occurrence. Leslie Nielsen – God rest his soul – but isn’t there something very ‘Frank Drebbin’ about that first photo? Of course Police Squad was just a comedy TV series, but this guy & others like him must take it as being educational! Glad they didn’t watch the A-Team eh? I see what you mean! I have added a tribute to Leslie Nielsen and Police Squad to the post itself.